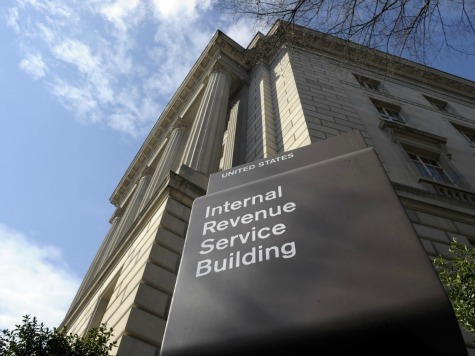 The Internal Revenue Service (IRS) has offered election integrity group True The Vote its tax-exempt status in what appears to be a bid to keep the group from proceeding with discovery on its lawsuit against the agency, Breitbart News has learned exclusively. “We are pleased and relieved that the IRS and the DOJ are finally doing what should have been done three years ago, which is to recognize TTV as a charitable and educational organization, which we have always been and will continue to be,” True The Vote President Catherine Engelbrecht said in a statement provided exclusively to Breitbart News. In July 2010, True The Vote filed an application with the IRS seeking 501(c)3 tax exempt status. After discovering in May 2013 that its application was part of the bigger IRS scandal targeting Tea Party organizations, True The Vote filed a lawsuit in federal district court in Washington, D.C. requesting that its tax-exempt status application be approved. The IRS granted the tax-exempt status on Friday night and then filed a motion to dismiss the lawsuit all in the same document. True The Vote is accepting the tax-exempt status, but will file a counter motion to continue fighting the other counts of the lawsuit against the IRS. Those other counts deal with civil rights and privacy issues and could lead to the IRS being forced to turn over more documents heading into full discovery. Cleta Mitchell, a partner at the law firm Foley & Lardner LLP and the lead counsel on behalf of True The Vote’s lawsuit, which has ActRight Legal Foundation representing it in court, said the group will continue to fight the IRS for the full discovery. “This lawsuit is about getting to the truth and we are not going to stop until we find out the answers to these and many other questions,” Mitchell added.